Shadeform was engaged to design, manufacture and install this eyecatching Waterproof PVC Car Park Canopy Structure. 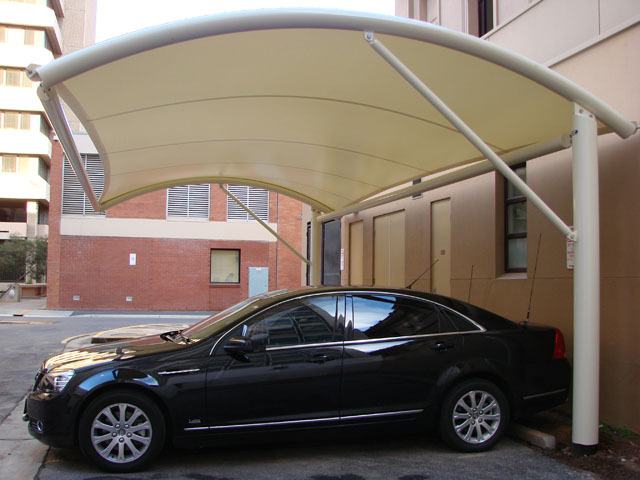 The barrel vault canopy provides all-weather protection for users of the car park area as well as minimising UV degradation to car paintwork. 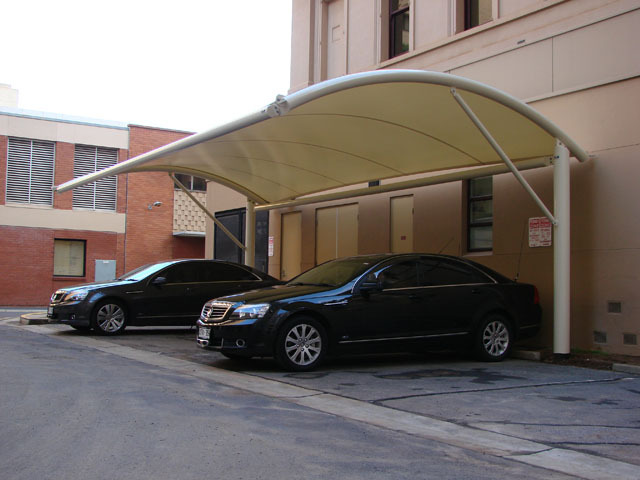 Shadeform has the experience and ability to design, manufacture, install and project manage your car parking project from inception through to installation.